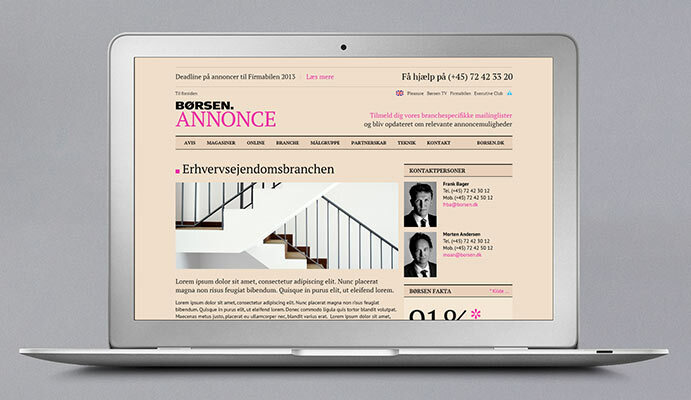 The daily newspaper, Børsen, has long been the preferred source of news and information for the Danish business world. 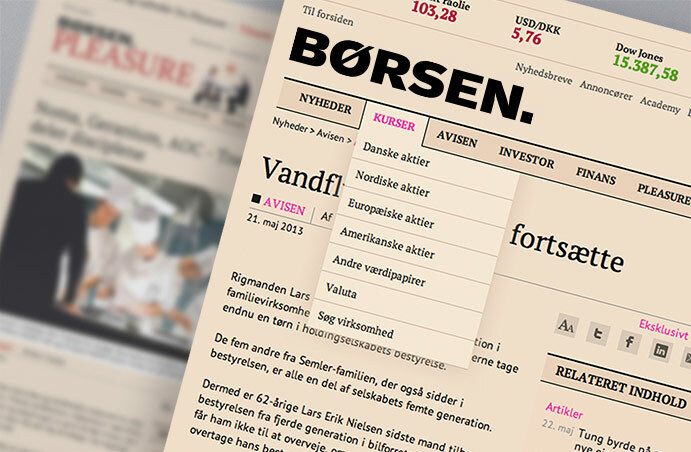 Børsen’s primary focus is business and finance but its coverage also features politics, culture and economics. Børsen was founded in 1896 and is now a subsidiary of the Swedish Bonnier group. 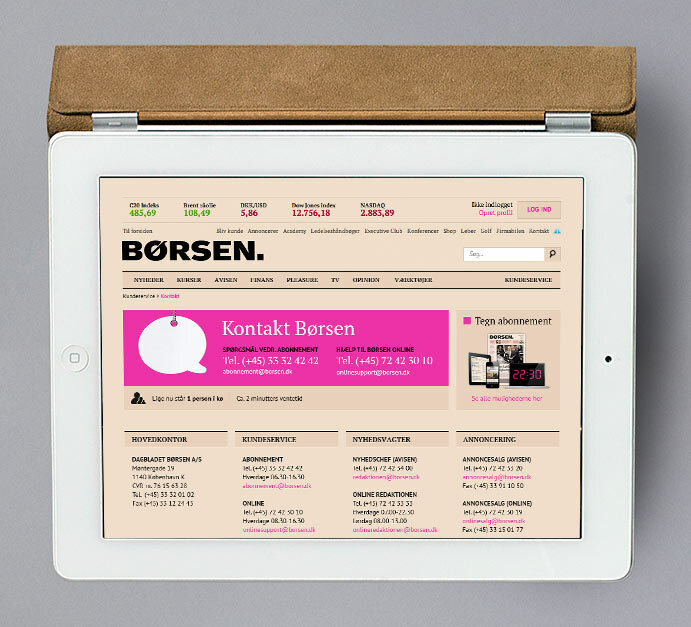 As well as the print version of the newspaper, Børsen produces a wide range of digital services and products based at borsen.dk, which has over 300,000 unique users per month. We are Børsen’s regular partner in digital design and have been responsible for concept development and front-end UI for a range of Børsen’s digital products. Among the projects we have undertaken are pleasure.borsen.dk, which is lifestyle magazine Pleasure’s digital channel, and annonce.borsen.dk, which is Børsen’s digital platform for advertising sales across the entire group. 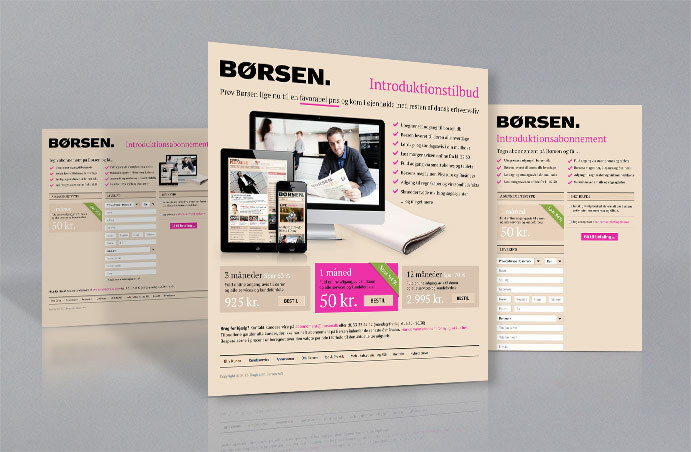 We have also solved a wide range of other design tasks for borsen.dk and its subsites.